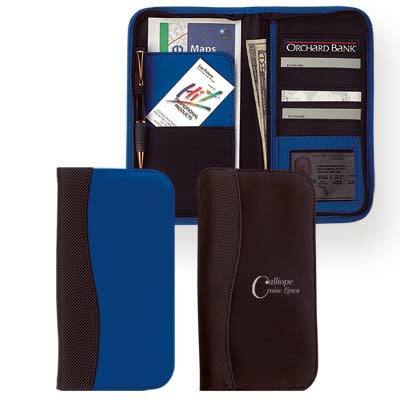 Bulk Discount Travel Wallets on sale, made of sturdy microfiber material with embossed PVC trim. We also supply blank (not personalized) wholesaleTravel Wallets for $5.25 each (minimum quantity: 50). Lowest cost in USA and Canada for wholesale promotional Microfiber Travel Wallets. American clients pay no taxes.